Type Tasting launched on 14th February 2013. Since then we’ve had the opportunity to meet and collaborate with so many amazing people, to work with forward-thinking and dynamic organisations, and to be a part of exciting events around the world. A huge thank you to everybody who’s taken part. 10 prize giveaway packs of signed books and goodies are up for grabs to celebrate five years of Type Tasting. Questions (or where to find the question) can be found each day on Instagram or Twitter #TypeTasting5years. To enter the competition each day, and find clues to the answers, click here. One pack will be given away each day to a participant with a UK address (except the prize draw on February 16th, which is available to an international winner). 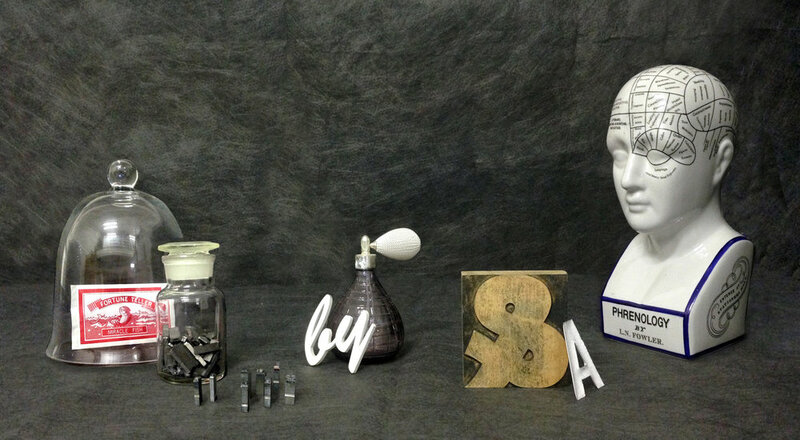 Each prize pack contains a selection of typographic goodies that take the theme of that day’s question. There are signed books by Sarah Hyndman (including exclusive copies of the limited first edition of The Type Taster, which is out of print). Special prizes include tickets to one of the last ever public N16 Ghostsigns tours, goodies from Monotype, a pair of tickets to the fantastic Museum of Brands and a voucher for Laithwaite’s wine. 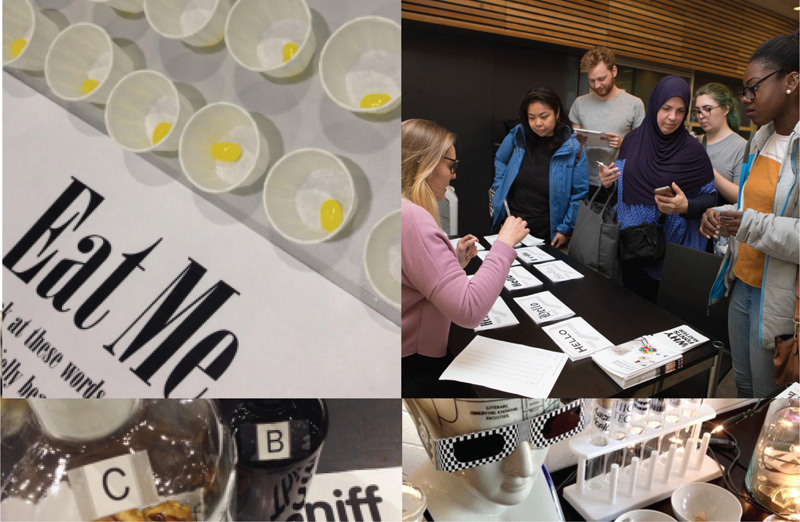 Type Tasting creates experiential learning scenarios designed to entertain and ignite curiosity through type and all the senses. Participants are immersed in the discovery process with experiments, activities and tastings designed to be thought-provoking. Everything is dished up with fun and a theatrical twist. Founded by graphic designer Sarah Hyndman in 2013, deliverables include interactive talks, immersive events, activity-packed workshops, and mass-participation creativity events. Find out more.